The company generated $1.2 billion in cash from operations during the March quarter, ending with total cash and cash equivalents of $3.4 billion. "Our third quarter performance demonstrates the potential of the new Western Digital, with just three and a half weeks of HGST results combined with the standalone WD business," said John Coyne, chief executive officer of Western Digital. "Competing in the marketplace with our separate WD and HGST subsidiaries, we now have the product portfolio, technology resources and the people to fully serve the needs of a significantly expanded customer base and to better address the tremendous growth opportunities in the storage industry in the years ahead. "I am also pleased to announce today that the recovery activities related to both WD operations and those of our supply chain partners impacted by the Thailand floods have reached a point where we now have the capability to adequately meet anticipated customer demand in the current quarter and beyond," Coyne said. The investment community conference call to discuss these results will be broadcast live over the Internet today at 2 p.m. Pacific/5 p.m. Eastern. 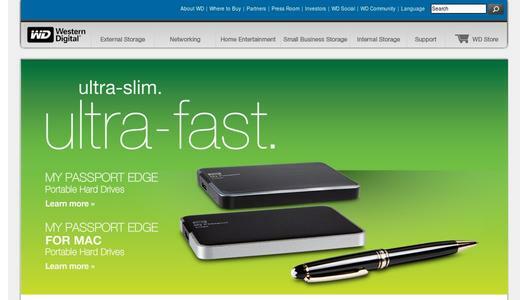 The live and archived conference call webcast can be accessed online at www.westerndigital.com/.... The telephone replay number is 800-685-1820 in the U.S. or +1-203-369-3873 for international callers. As previously announced, the company will hold an investor/analyst day on September 13 in Orange County, California. Additional details will be provided at a later date. WD was founded in 1970. 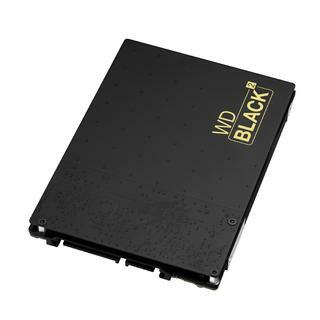 The company's products are marketed to leading OEMs, systems manufacturers, selected resellers and retailers under the Western Digital®, WD® and HGST(TM) brand names. 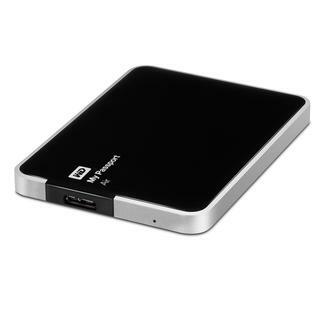 Visit the Investor section of the company's website (www.westerndigital.com) to access a variety of financial and investor information. This press release contains forward-looking statements within the meaning of the Private Securities Litigation Reform Act of 1995. These forward-looking statements include statements concerning growth opportunities in the storage industry and the company's ability to meet customer demand in the current quarter and beyond. These forward-looking statements are based on management's current expectations and are subject to risks and uncertainties that could cause actual results to differ materially from those expressed or implied in the forward-looking statements, including the impact of continued uncertainty and volatility in global economic conditions; supply and demand conditions in the hard drive industry; uncertainties concerning the availability and cost of commodity materials and specialized product components; actions by competitors; unexpected advances in competing technologies; uncertainties related to the development and introduction of products based on new technologies and expansion into new data storage markets; business conditions and growth in the various hard drive markets; pricing trends and fluctuations in average selling prices; and other risks and uncertainties listed in the company's filings with the Securities and Exchange Commission (the "SEC"), including the company's recent Form 10-Q filed with the SEC on Jan. 27, 2012, to which your attention is directed. Readers are cautioned not to place undue reliance on these forward-looking statements, which speak only as of the date hereof, and the company undertakes no obligation to update these forward-looking statements to reflect subsequent events or circumstances. (1) Non-GAAP net income for the third quarter fiscal 2012 consists of GAAP net income of $483 million plus $103 million for costs recognized upon the sale of inventory that was written-up to fair value and amortization of intangibles related to the acquisition, $34 million of acquisition-related expenses and $15 million for charges and expenses related to the flooding net of recoveries, less $16 million of tax effects related to the aforementioned items. Non-GAAP earnings per share of $2.52 for the third quarter is calculated by using the same 246 million diluted shares as is used for GAAP earnings per share. (2) Non-GAAP net income for the third quarter fiscal 2011 consists of GAAP net income of $146 million plus $10 million of acquisition-related expenses. Non-GAAP earnings per share of $0.66 for the third quarter is calculated by using the same 236 million diluted shares as is used for GAAP earnings per share.